“AKP’s votes are four-folded than MHP’s, AKP received 42 percent and MHP received 11 percent. We received 10 percent and CHP 22 percent. I believe a fair preparation can occur with respect to these because five million people voted for us,” she said. İYİ Party is ready for alliance with the CHP, Hürriyet columnist Ahmet Hakan reported on Nov. 26 on his column. Akşener is planning to ask the CHP to support her party’s candidate for Ankara, the columnist quoted Akşener as saying. In return, İYİ Party will support the CHP’s candidates in the Aegean province of İzmir and Istanbul, according to the journalist. 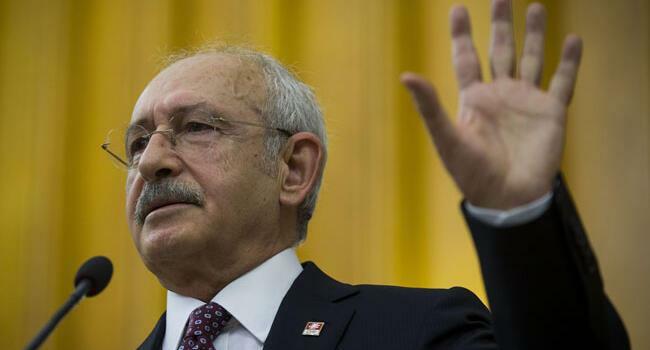 Regarding the ongoing meetings, Akşener stated that the second meeting will be held upon the return of the CHP’s chairman Kemal Kılıçdaroğlu from Germany.